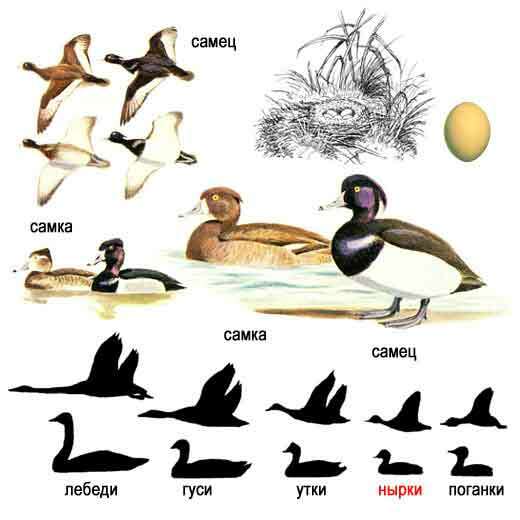 Genus: Netta, Red-crested Pochard and allies - 4 species, one probably extinct. 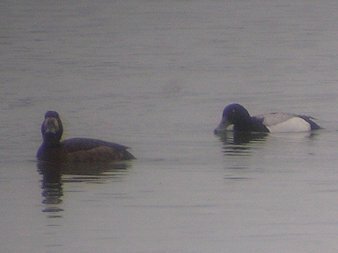 Greater and lesser scaup are often found together, but the larger size of the greater scaup is very obvious. 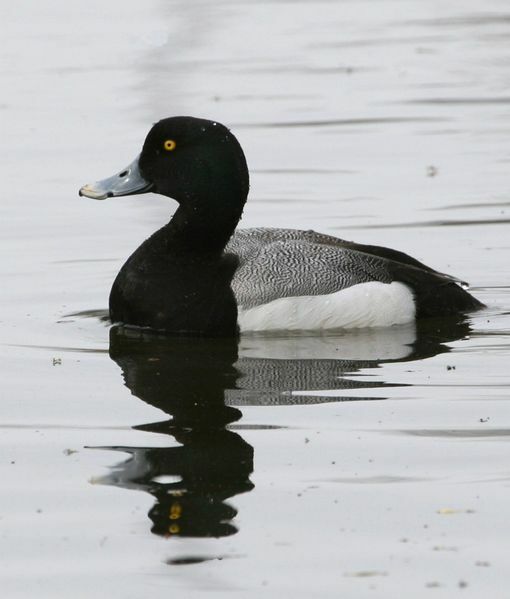 Male greater scaup also have a larger more round, green-tinted head than male lesser scaup. 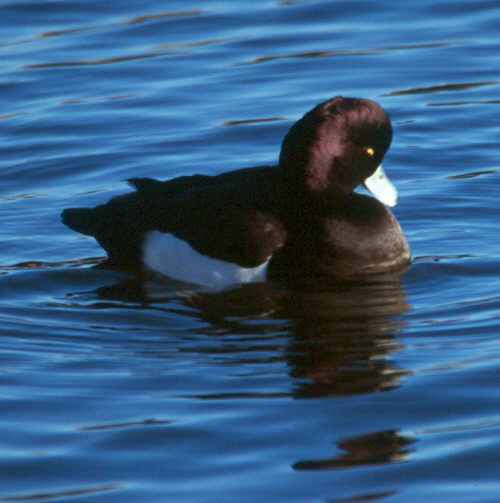 Male greater scaup have a glossy black head tinted green. 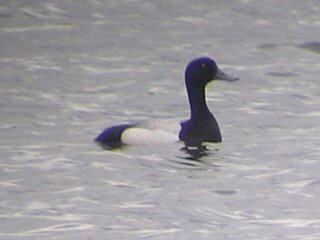 The wing has a broad white speculum spanning nearly the length of the primaries and secondaries. The bill is a light blue-gray with a black nail, the legs and feet are gray, and the iris is yellow. Relatively silent except in display, the male utters a soft cooing as well as whistling notes in courtship. 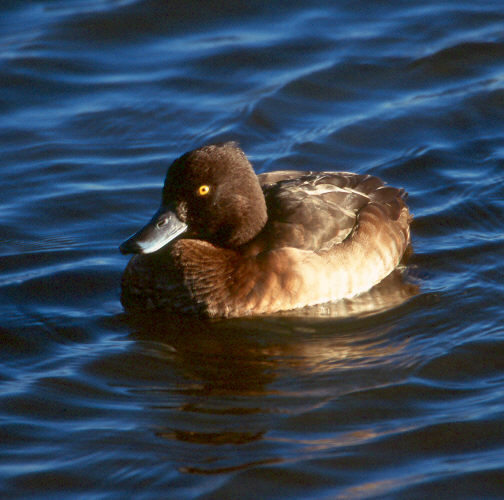 Female greater scaup are brown with white oval patches around their bills. The bill is similar to that of the male, but slightly duller and the legs and feet are gray. The female has harsh, gruff notes typical of the genus. 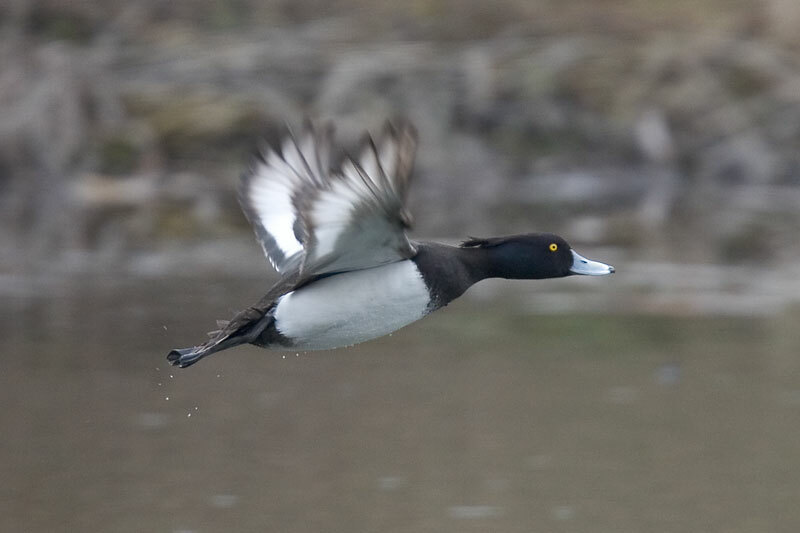 Greater scaup breed on the tundra and in the boreal forest zones from Iceland across northern Scandinavia, northern Russia, northern Siberia and the western North American Arctic. 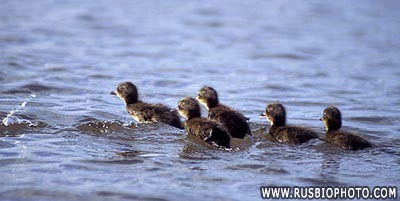 on islands in large lakes and lay an average of 9 eggs. are thought to be the primary factors contributing to the decline. an 8% decrease from last year's estimate. 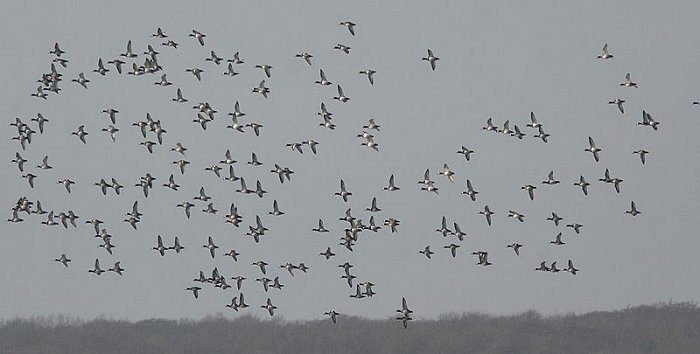 In the 1970's the population in North America was estimated to 750.000 birds. sheen on the head which sets off his yellow eye. 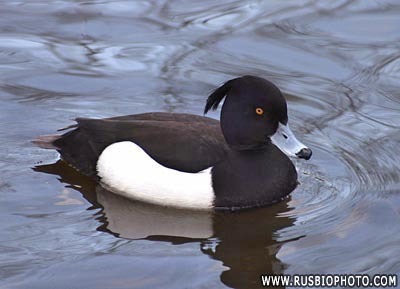 He has a tuft at the back of the head which is longer during the breeding season. 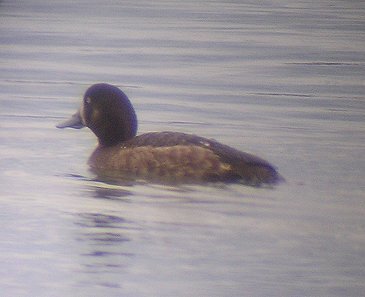 The female is generally brown with paler flanks and a yellow eye. 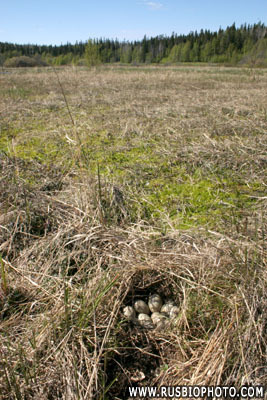 The female nests on the ground near the water, and like the Eider beds with downs. then after a few hours they are off to the water, and 6 weeks later they can fly. 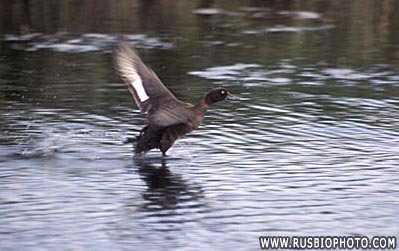 During the winter, most of the birds travel as far south as to Norther Africa and India.